the brand Taboca, which I haven’t tried yet. I have heard a lot of good things about Taboca so I was really curios to try this WoW! 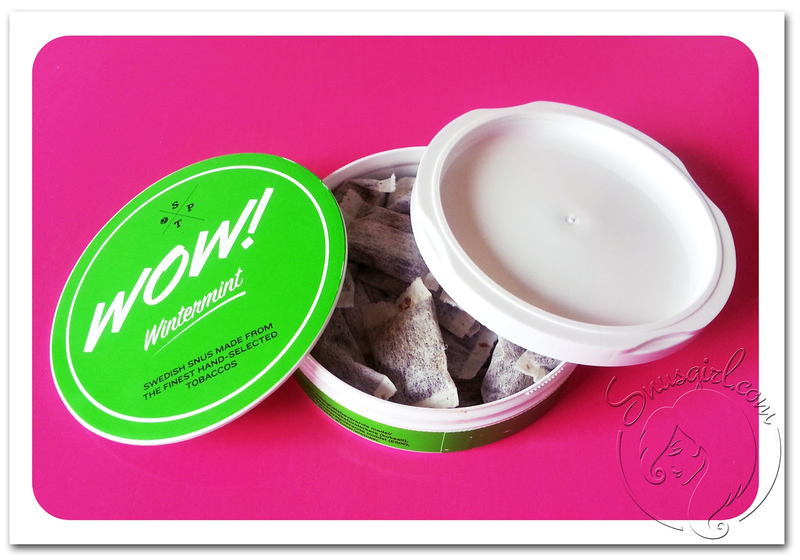 Wintermint snus. I opened the can, by actually pulling off the top of the label on the sides of the can. I think they had me there already. These guys think about my nails! How thoughtful! I hate breaking my nails when I open a snus can. Wow! You have to smell this snus! It’s one of those nostalgic snuses for me, yes I know, I’ve gotten quite a few of them lately. This snus smells exactly like a chewing gum my friends and I used to buy in Sweden when we were kids. It was named Jenka and cost 0,50 SEK each. I remember that because we used to convert all our money to the cost of this chewing gum. If I got 10 SEK from my parents that meant I could buy 20 Jenka . I was a little bit disappointed by the flavor of this snus at first. 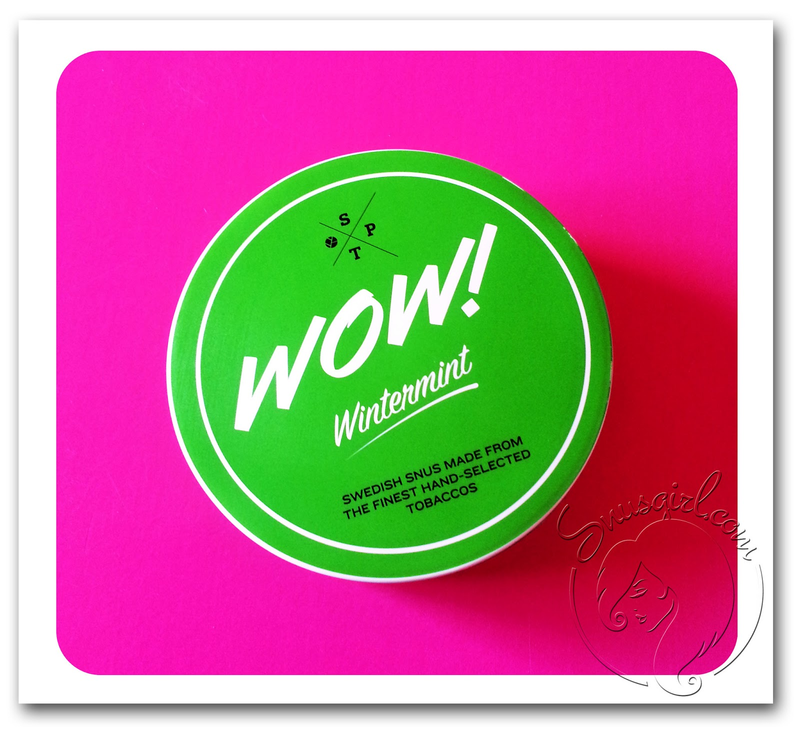 After getting this nostalgic feeling from the smell of Wow wintermint I had high expectations of the flavor being the same as the smell. It's not. Thing is, it’s too sweet and the Wintergreen flavor should definitely be stronger and give you more of a burn. That is after all what I’m looking for in a Wintergreen and Mint snus. I find this snus a little mild in flavor. The first time I tried this snus I didn’t feel that burning sensation that usually comes with a mint or wintergreen snus. I just got a slightly tingling feeling under my lip, but I was surprised because with my third portion I actually felt more of a burn. It’s still not a massive burning feeling (which I actually like) and it got milder after a while. I’ve come to like the flavor more and more. It’s not a really rich wintergreen or mint flavor and it’s still a tad sweet for my taste but it grows on you. I also feel you get the same freshness as you would get from a mint chewing gum. With my third portion I felt so comfortable with the flavor and the softness of the pouch that I forgot I had it in which I then realized 40 minutes later. I would definitely suggest giving it a few portions; you might just fall in love with it. I also let my husband and his Swedish friend try this snus and they both liked it. That surprised me a little since his friend only uses General Classic Portion snus and I could never imagine that he would like a wintermint flavor. The can is pretty cool. Not only do SPT care about my nails they have also made an awesome retro designed can which really stands out on the market. Just seeing it on Northerner made me curious because it really stands out from all the other brands.Oh, and the can has a huge "ashtray" for used portions built in to the lid of the can. The bigger the better. I hate it when I forget to empty my "ashtray" and can't find a trashcan around. The portions are really soft and I find them somewhat thicker than other white portions which gives you a comfortable feeling under your lip. Being a white portion I still find it a bit moist. The portions are a little too big for my taste but as you know I’m a mini portion kind of girl. The nicotine level is average. Not to strong, not to weak. 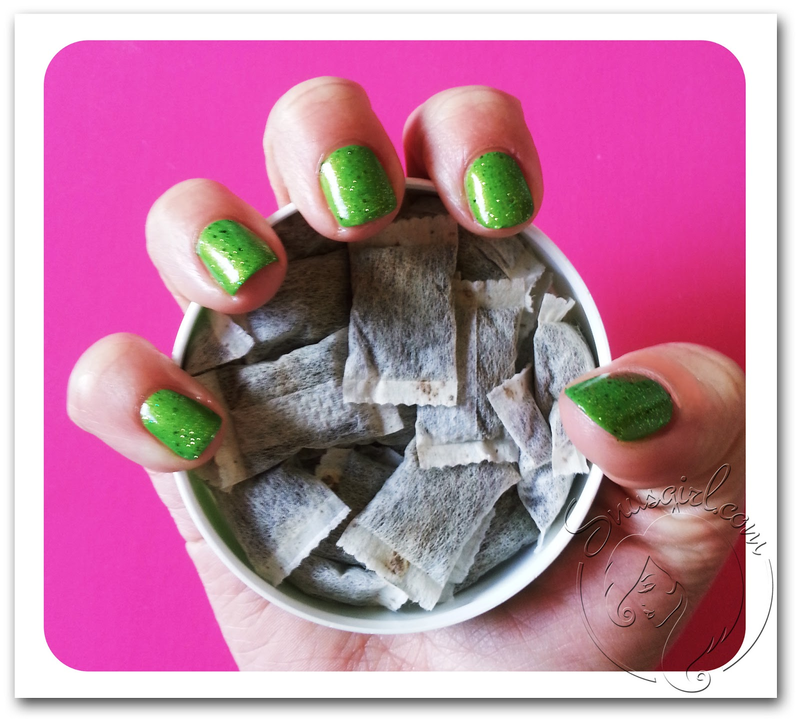 I painted my nails green yesterday, to match the WoW wintermint can of course. My husband then said “Noooo, What are you doing? Green nails? Really?” Just a piece of advice to you men out there, Compliment your girlfriend/wife and if you have nothing nice to say; stay quiet. That is my best advice if you want to live a long and happy life. My husband then realized his mistake and said: “I guess I just need some time to get used to it….” Well, maybe that’s the case for me with this snus cause every time I try it I seem to like it a little bit more. I almost went trough a whole can of wow wintermint now and think I might just order some more which was definitely not my thought after trying my first portion. At least I can say this snus is different from any other snus I have tried and sometimes being different is a good thing. 3 comments on "Wow Wintermint White Portion Review"
Hey, your reviews are really good, why have you stopped? keep going girl! Love your enthusiasm, snus girl! Snus has helped me to kick the nasty cig habit and connect with a great tradition. Cheers!